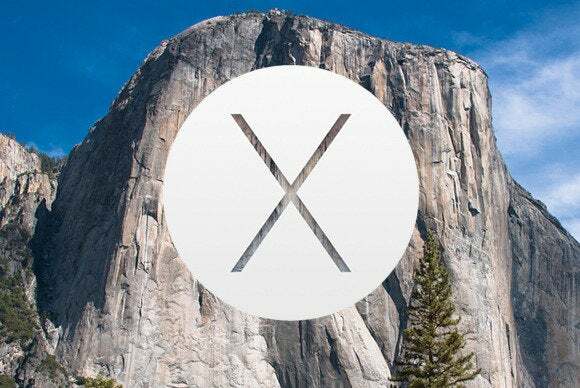 This year’s update to OS X has been officially previewed, and we know its California place name: Yosemite. But while developers have access to an early version of the new OS now, regular users will have to wait until the fall to use it (unless they sign up for, and get into, the public beta program). So there are lots of questions swirling around out there about OS X Yosemite; based on what we've learned at WWDC (and from testing out the early OS on a system that Apple loaned to Macworld's Jason Snell), here are answers to some of the most common. What’s this I hear about a revamped user interface? You’ve heard correctly. Taking a cue from iOS 7, Yosemite now features transparency not only on the menu bar, but applied to windows and other small interface features, as well. For much more on all the changes, see Hands-on with OS X Yosemite: Design. You’ll also find that Apple has dispensed with the 3D design elements of old in lieu of flatter, more colorful surfaces. Toolbars have also been simplified. For example, in Safari, the Favorites bar no longer appears by default; instead, you find Favorites when you click in a window’s smart-search field. Yosemite also uses a new System font, Helvetica Neue. The new user interface in OS X Yosemite inherits some elements of iOS, including a greater use of translucency. As in iOS 8, you will be able to greatly reduce the transparency by visiting System Preferences > Accessibility > Display > Reduce Transparency. How different is Helvetica Neue as the system font? It’s initially a bit of a shock if you’re used to Mavericks and older versions of OS X. But once that shock wears off, the font is fine, and it certainly matches the overall visual of Yosemite better than Mavericks’s Lucida Grande would have. On a Retina display, the thinner font especially shines. The Dock looks strangely new-but-familiar. What’s up with that? Back in OS X 10.4, the Dock was two-dimensional: a translucent background that separated app icons from the desktop. Starting in OS X 10.5, however, Apple changed the Dock’s bottom position to render in 3D (unless you performed a Terminal tweak. With Yosemite’s new flat UI, the Dock is back to being 2D again. We like it a lot from what we’ve seen so far, and it otherwise behaves just like the Dock we’re used to: You will be able to resize and reposition it, hide it, and so on. The new Dock in OS X Yosemite. I’ve heard Apple changed the ‘stoplight’ buttons at the upper left of windows. In many (but not all) apps they’re now integrated into the toolbar, rather than above it, thus saving some screen real estate. They also have the same flatter appearance as the rest of the operating system. If you’re a long-time Mac user, the experience will be a bit odd at first, but it should be a nice change—especially given the widescreen aspect ratio of all of Apple’s current displays. In addition, Apple has tweaked the behavior of the green button. Previously, it’s always been a zoom toggle—though exactly how it zoomed varied widely. In Yosemite, the green button is now a full-screen toggle: individual windows zoom to the width of the screen when pressed, while the main window of an app enters full-screen mode. Many of us will miss the green button’s zoom control, but given Apple’s current emphasis on full-screen mode, this change makes a lot of sense and reduces clutter in the toolbar. Are full-screen apps dead? I don’t see the little double-arrow icon in the top right of windows. Full-screen mode is alive and well. But as we just mentioned, Apple has done away with that specialized double-arrow button and instead changed the functionality of the green ‘stoplight’ button. The Full Screen keyboard shortcut (Command-Control-F) still exists and works within supported apps (Safari, Mail, and Calendar, for example). When you hold down the option key, the green button will turn back into its more familiar function of expanding the dimensions of your window. What’s this new Dark mode they mentioned in the keynote? How does it look? It appears to darken the menu bar and associated menus, with light text on a dark background. Apps and menu bar options may need to be modified to really make it consistent across the entire system. We'll see how it shakes out this fall. While Yosemite does pick up some visual effects from iOS 7, it does so in a way that feels very much like an evolution of OS X. How much does Yosemite resemble iOS? Does it still feel like prior versions of OS X? While Yosemite does, as we mentioned above, pick up some visual effects—the translucency, brighter colors, flatter icons, and typography—from iOS 7, it does so in a way that feels very much like an evolution of OS X, rather than simply aping iOS. There are some options in programs such as Safari (the Favorites bar, for instance) that are hidden by default, but they can be easily accessed by power users. And as we noted earlier, if you really dislike translucency, you will be able to turn it off. Apple has enabled Spotlight to tap into more information sources and expanded what you’ll see in results lists. In addition to the files, apps, contacts, Messages, and other data Spotlight could already find, those sources now include Wikipedia; Bing; Maps; news; movie listings; and the iTunes, Mac App, and iBooks Stores. The Spotlight key command remains Command-Spacebar; if you conduct a normal Finder search by pressing Command-F, online sources won’t be searched, just as they weren’t in previous versions of the Mac OS. Spotlight is also now more interactive. Not only will you be able to read a document within a Spotlight preview, but you’ll be able to do things like send an email message, make a phone call, or get directions right from the search interface. For much more about Spotlight, see Hands on with OS X Yosemite: Spotlight. Yosemite's Spotlight has access to all kinds of new information. Will you be able to have more than one instance of Spotlight search? Nope, it’s just the one search bar. You may, however, see certain Spotlight search results when typing in a Safari window. What are the chances I’ll replace my third-party launcher with Spotlight? We’ve been asking this question since Spotlight was introduced, and the answer seems to be the same: Spotlight improvements should make regular users happy; it’s even better for quick local queries and for Siri-esque questions about movie showtimes. But more advanced users who rely on third-party launchers to do all sorts of productivity-boosting things will probably want to stick with those tools. Notification Center's handy Today view, incorporating your calendar, reminders, and weather. What’s changed in Notification Center? Third-party widgets (technically they're called Today Extensions) are the big news in Notification Center. They allow developers to create little code snippets that display things like the current weather, sports scores, bidding in online auctions, and more. In addition, Notification Center takes a page from iOS and brings over the Today view, which provides a summary of your day’s events, reminders, and birthdays, along with calendar events for tomorrow. For much more on this, read Hands on with OS X Yosemite: Notification Center. So, with the introduction of extensions and widgets, has Dashboard finally been killed off? Surprisingly, no! Dashboard remains, but it’s switched off by default. You will still enable it within the Mission Control system preference pane. It also exists as a separate app, found in the Applications folder, as always. But Apple is strongly advising developers who still rely on Dashboard to vacate the premises immediately. We’d be surprised if Dashboard survives past this release. How is OS X more closely connected to my iOS devices? Why would I want that? There are a couple ways in which your Mac (or Macs) and iOS devices will soon work together under Yosemite and iOS 8. These new capabilities center around iCloud Drive and a cluster of features Apple is calling Continuity: The first offers you a big Dropbox-like storage locker for all your app documents and projects; the second provides an integrated framework for you to access a variety of services seamlessly as you move between Macs and your iOS devices. As implemented in OS X Yosemite, those services fall into five distinct categories: Phone, SMS, Handoff, Instant Hotspot, and AirDrop. What does the Phone part of Continuity do? Think of your Mac as a big speakerphone and dialer for your phone. If your phone is on the same Wi-Fi network as your Mac, you’ll see caller ID information on your Mac’s screen whenever your phone receives a call. You’ll be able to accept or decline the call right from your computer, and if you answer, to talk and listen through your Mac. You’ll also be able to initiate calls from your Mac by clicking on a phone number in Contacts; on a webpage; or in an email or text message. This is pretty cool: If you have an iPhone and upgrade to iOS 8, you’ll be able to push SMS messages—those “green bubble” messages from buddies who don’t use an iPhone to text—to your Mac or other iOS devices, so that you can write and reply to them on any device you choose. You’ll even be able to initiate SMS messages on the Mac. This is all enabled by Apple's iMessage service. In the past, iMessage connected your iPhone's phone number with your Apple ID so you could send iMessages to a specific phone number. Now that service can also serve as a bridge to the SMS network, allowing your Mac to send texts straight from Messages. Handoff lets you start composing an email message on one device and finish it on another. Most of us own more than one Apple device these days. While iCloud already helps us keep some information in sync between those devices, the process of switching back and forth between them is still often rough. Handoff aims to help smooth that out: If you start writing an email on your iPhone, you’ll be able to pick up your composition on your Mac from wherever you left off. You can pass a web page from a laptop to an iMac. In the middle of reading an interesting article on your iPad when you need to head out the door? You’ll be able to open up your iPhone and keep reading, right from the same scroll position. Third-party developers can also take advantage of Handoff. Apple is providing a framework for developers who want to have their apps talk to each other on iOS and the Mac. Obviously we’ll have to wait to see what kind of clever uses for Handoff those developers come up with. Currently, if your cellular carrier supports your iPhone’s hotspot feature, you can configure your iPhone to create an ad-hoc wireless connection to your Mac, letting it use your phone’s data plan for Internet access. Under Yosemite, however, whenever your iPhone is within Bluetooth range of your Mac, the phone automatically appears (along with its signal strength and battery level) in OS X’s systemwide Wi-Fi menu. If you choose your phone from this menu, it automatically sets up a secure Wi-Fi hotspot and your Mac connects to it—no other action required. And your Mac automatically disconnects when it’s not actively accessing the network to preserve the phone’s battery life. What about AirDrop? Don’t I already have that on my Mac? You do, but now it’s even better: AirDrop now works between iOS devices and Macs, meaning you’ll be able to exchange files on an ad hoc basis between the two, without the need for an Internet connection or even being on the same local network. Need to get a photo to your Mac from your iPhone? Fire up AirDrop. Want to send that PDF from your Mac to your iPad? Same thing. And you’ll also be able to limit your sharing so that only your iCloud contacts can see your share requests. Macs don't need to have a Finder window open to AirDrop in order to receive AirDrop files, either, though you'll still have to approve any incoming file transfer requests. iCloud Drive makes all of your iCloud-stored files and folders more easily available from the Finder. So tell me about iCloud Drive. Is it really like a Dropbox folder? Sort of: Starting with OS X Yosemite and iOS 8, you’ll have access to an iCloud folder on both. That folder syncs with your other Macs and iOS devices (presumably running either Yosemite or iOS 8). If you drag and drop files into it, they will then appear on your other devices. It looks as though some preliminary support for selective sync may exist, via System Preferences > iCloud > Documents & Data Options. But iCloud Drive doesn’t yet appear to have the same robust sync options as Dropbox, nor does it appear to support sharing public links to files or folders. This may change as the system gets closer to release, however. How much space will I get with iCloud Drive? 5GB for free, but in the fall you should be able to purchase 20GB more for just $1/month or 200GB for $4/month. Apple has even said that it plans to offer plans with up to 1TB of storage—good thing, considering that your iCloud storage limit includes your backups, photos, and documents.